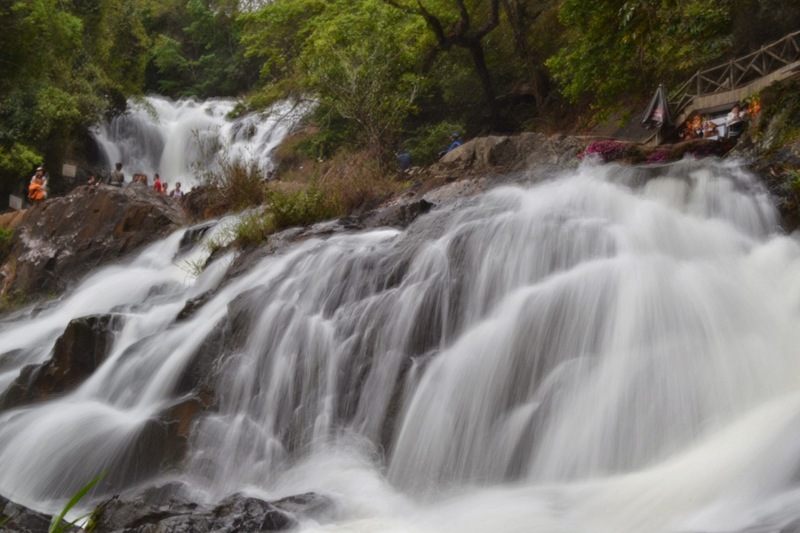 Da Lat ~ “Crazy House” and Datanla Waterfalls – E.A.T. 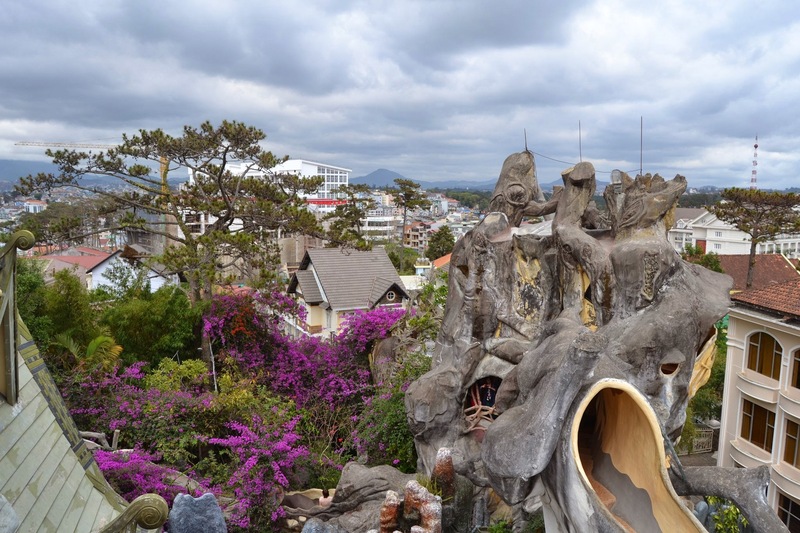 A few minutes ride from the main area of Da Lat resides an avant garde hotel/tourist trap called Hang Nga Guesthouse, or The Crazy House (03 Hunyh Thuc Kang). It was designed by a woman holding a PhD in architecture, a love of Gaudi and a wild imagination. It’s fun to walk around inside the house, and feel the lack of right angles smoothing out a cluttered mind. There are plenty of photo ops and really narrow staircases. 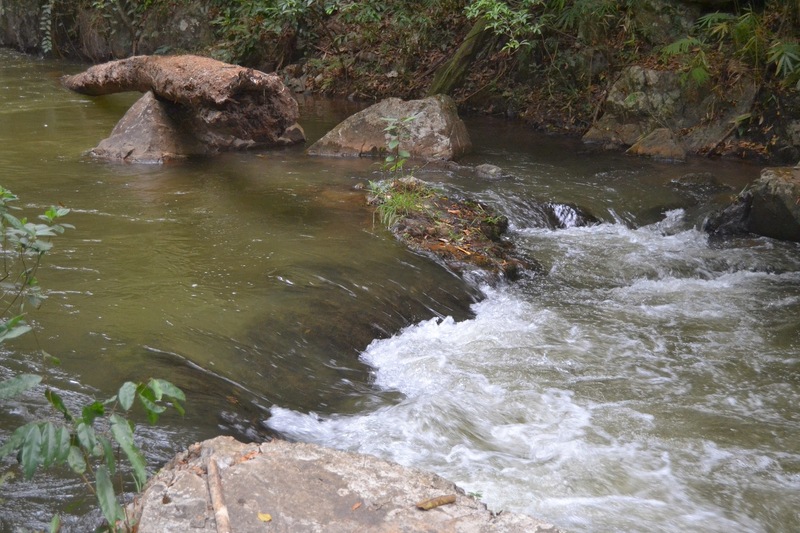 Nearby you can find Datanla Waterfalls. They weren’t as crowded with tourists. 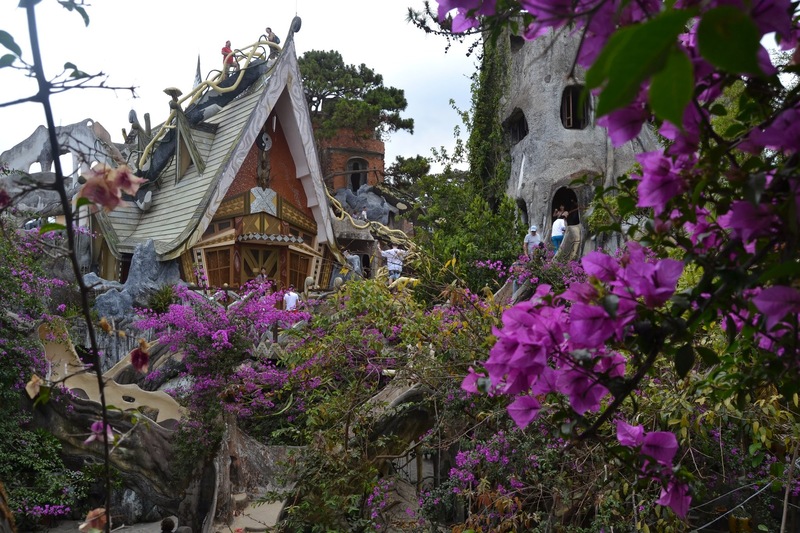 For 50,000 dong (3$), you can ride a self-controlled bobsled down the mountain to the base. As long as you don’t get a slow-poke in front of you, you can go as fast or slow as you want because you control the brakes! It was a sustained smile the whole way down. Afterwards, explore the fragrant pine tree walkways and then pop back in your bobsled which gets tow-roped back to the top of the hill. Thanks. Yeah, it’s a cool place to play around with your camera. Wish I would have gotten a few of the bobsled ride! wow!! what a cool fun house. This is really interesting. It wasn’t finished, so there was dubious wooden scaffolding and exposed wires and rebar everywhere. Would be a cool place to sleep for a night though. 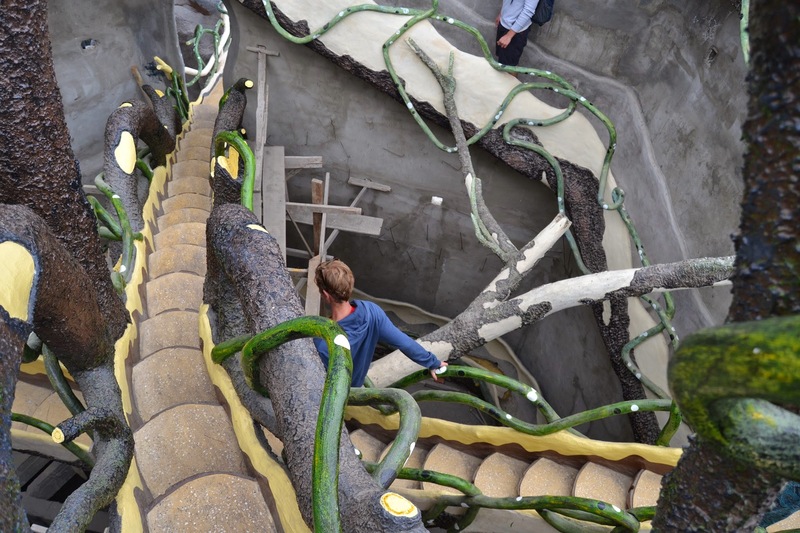 definitely feel the Gaudi style – very cool!